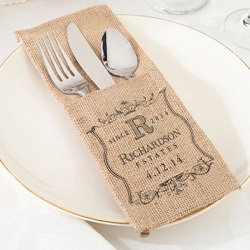 If you want a fun, light-hearted wedding, a country western wedding favors may be perfect for your big day. With a country western theme, you can select fun attire for your entire wedding party, or simply leave the ho down to the reception while your wedding ceremony remains classic and sophisticated. Make sure your guests bring their boots and are ready to stomp through the night because this is a theme destined to bring a rowdy good time. 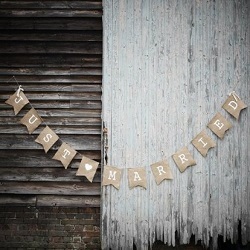 Many brides love this theme because there are thousands of decoration and favor ideas, and many of them are affordable. 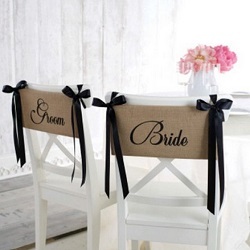 If you want to do a lot of your decorating yourself or with your bridesmaids, sites like Pinterest are flooded with country western wedding décor ideas. While you are making your plans, leave some of your budget for wedding favors because there are many that coordinate well with this theme. 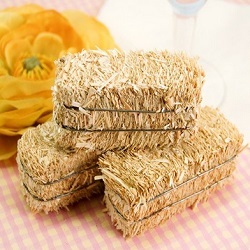 Mini Cowboy Hats- You can use these cowboy hats in countless ways, including your decorative elements and your wedding favors. They are available in three different basic colors and two different sizes, 2 inches and 3 inches. Imagine setting these around candles for decorative elements that your guests can take home at the end of the reception. 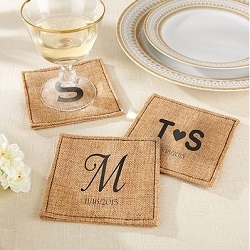 You may also use them to create place cards, or simply hand them out as favors during your reception. 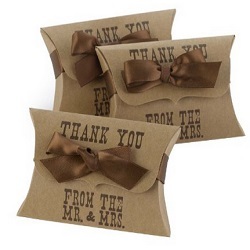 Western Pillow Favor Boxes - These empty decorative boxes make it easy to wrap up any favor or perhaps a special note to your favorite wedding guests. 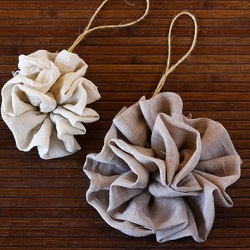 Each brown box has a rustic, country look and comes with a brown satin bow. Fill each box with candy or graffiti to give your guests something to enjoy while you celebrate the most memorable day of your life. 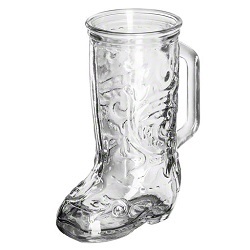 Boot Mug - These glasses are shaped like boots and crafted from clear glass. If you are having an open bar or just want to give the adults on your guest list something practical and fun to take home, you can’t miss with these glasses. Even those who don’t drink will enjoy the whimsical shape and look of these decorative glasses. You can even fill them with goodies and set them out as part of your décor, encouraging guests to pick them up on their way out the door. You can also try these shot glasses if you’re looking for something smaller and less expensive. 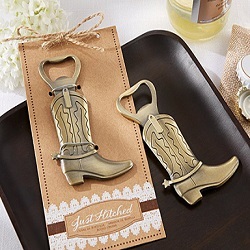 Cowboy Boot Bottle Openers - Bottle openers are practical tools that all of your guests will enjoy, but these aren’t just ordinary openers. These are unique openers shaped like cowboy boots which fit a country western wedding theme perfectly. If you are including a bar in your wedding reception plans, these openers are the perfect hand-outs to guests. Cast Iron Horseshoes – This is a fun DIY Idea! 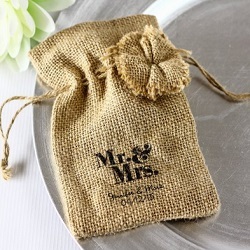 Are you interested in saving a bit of money by making your own wedding favors? 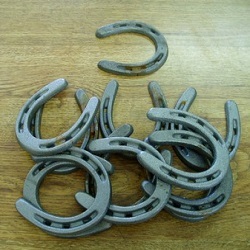 You can purchase these cast iron horseshoes in bulk lots of 20 and personalize them at home. You can paint them different colors or with patterns that coordinate with your wedding colors, and then add names, your wedding date or other information. 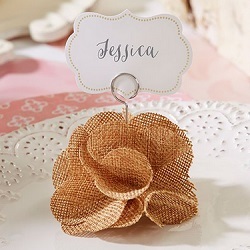 You turn an affordable craft item into adorable personalized wedding favors that fit the country western theme perfectly. 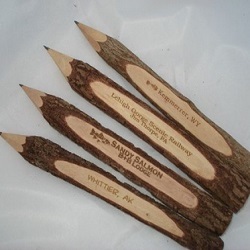 Personalized Wood Pencils - These favors are not created specifically for weddings, but they do fit the country western theme well. Each pencil has room for a two-line customized message, so you can add the names of the happy couple and the wedding date or a special message for your guests to take home. The pencils are sold in bulk lots of 50, so they are perfect for large weddings with long guest lists.